Welcome to the Future. Its Cleaner, Greener, and More Efficient! 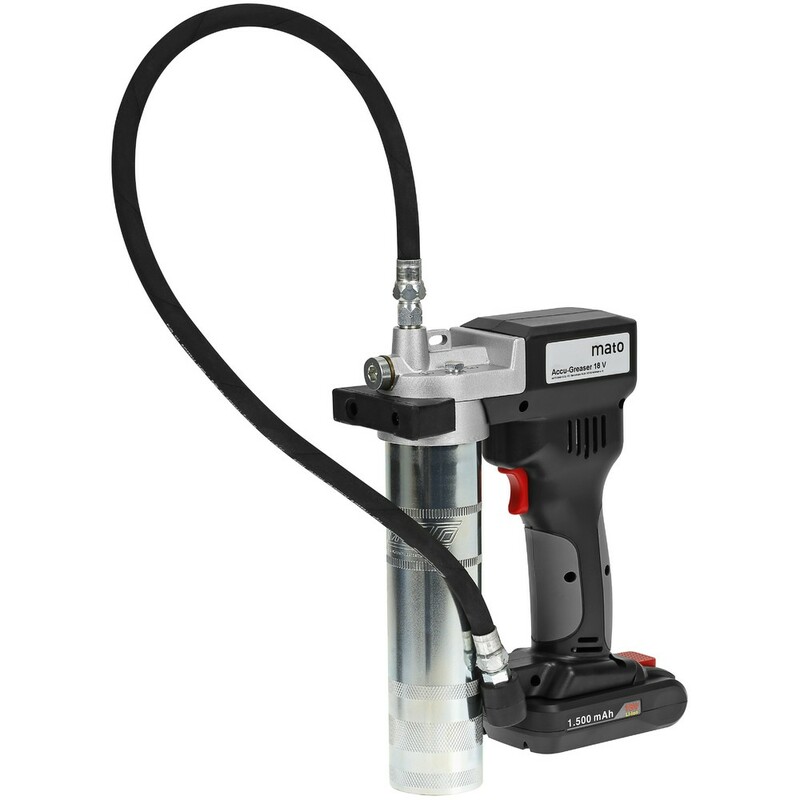 This is an Electric 18V Battery Operated Grease Gun for Lube-Shuttle® – System-Cartridges. It is the right choice whether you are greasing a car, boat, atv, bulldozer, or truck. The new cartridge style allows for clean and efficient greasing and the lithium-ion battery does all the hard work, making greasing an easy and clean task. Simply insert the cartridge into the steel tube, thread it in and you are ready to go! A powerful DC motor drive, with planetary gearbox and reciprocating piston, creates a working grease pressure of 400 bar. Maximum pressure is limited by an inbuilt relief valve. – Plastic Carry Case with space for Spare Battery and Cartridge. MADE AND ASSEMBLED IN GERMANY!!! AET Systems makes it easy to purchase our AirTec Lube Shuttle Grease Guns online and have it shipped directly to you.